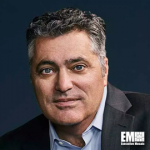 Tom Reilly, CEO of Cloudera (NYSE: CLDR), told CNBC in an interview that aired Friday the proposed merger of the Palo Alto, Calif.-based software firm with Hortonworks (Nasdaq: HDP) will create a new company that will deliver software across all major cloud service providers. “We work on Amazon, Microsoft, Google, the IBM Cloud, and that’s our value proposition to enterprises,” Reilly told host Jim Cramer of the channel’s Mad Money program. Reilly will become CEO of the combined entity upon completion of the all-stock merger the companies announced Wednesday. Cloudera and Hortonworks have agreed to merge in an effort to form a new firm that would deliver an enterprise data cloud platform and other next-generation data systems to customers. Hortonworks CEO Rob Bearden will serve on the combined firm’s board of directors, while Marty Cole, a board member at Cloudera, will serve as chairman. Scott Davidson, chief operating officer at Hortonworks; and Arun Murthy, chief product officer at the Santa Clara, Calif.-based software firm; will assume the same roles at the combined firm. Jim Frankola, chief financial officer at Cloudera, will serve in the same capacity at the new company. Both companies expect to close the transaction in the first quarter of 2019, subject to approvals by the firms’ shareholders and regulatory authorities. Cloudera will own approximately 60 percent of the new firm and Hortonworks stockholders will maintain the remaining equity stake under the terms of the deal. Hortonworks stockholders will get 1.305 common shares of Cloudera’s stock for each share they own. The companies expect the combined entity to generate approximately $720M in annual revenue, record annual cost synergies worth more than $125M and operate with a cash flow of at least $150M in calendar year 2020. The combined value of Hortonworks and Cloudera is approximately $5.2B based on their closing stock prices on Tuesday. Morgan Stanley & Co. and Fenwick & West LLP respectively serve as financial and legal advisers to Cloudera in the transaction. Qatalyst Partners acts as Hortonworks’ financial adviser, while Latham & Watkins LLP advises the firm on the deal’s legal aspects.